When you are setting up a business, one of the first things you should take care of is quality control, even before you start making actual products. Sometimes, the things you sell or produce are truly only as good as the items or ingredients you use to make them, in which case ensuring that your equipment is at the highest level it can be for your price range is what counts. 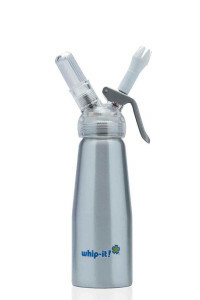 We also offer Whip It Dispensers! There are several ways people can do this. The first and simplest way of ensuring it, of course, is to seek out a supplier that you can rely on to consistently to not only deliver high-quality ingredients, but as well as the actual equipment to be used in the business. This is not entirely dependent on price, take note: there are in fact some suppliers that base their reputation on their ability to consistently provide superb quality for any price point. Here at Pophouse Inc., we supply ingredients and equipment necessary to those opening milk tea shops that is affordable, but we still have stringent quality control regulations on all products despite their cost. Finding a reliable supplier is just the first step, however. Generally, a conscientious business owner shall do all the things listed here just to ensure that his equipment really is the best that he can get. For instance, besides making sure that the supplier he has found is a good and trustworthy one, he can also take pains to inspect all the equipment and supplies he gets, just for added security. It may seem redundant at this point, true, to add such a step: in the first place, if you have indeed found yourself a supplier who can be trusted to always “deliver the goods”, you should not need to invest too much time in making sure that the materials are top-quality. It may seem like that at first, but the truth is that this additional check is always worthwhile: even the best supply companies and distributors can make mistakes on occasion, and it is still safer for you to add an extra measure of quality control just to provide for that possibility. That way, it does not end up being something that you make your customers pay for. This is also a good investment if you think about the things you may be avoiding with it. Finally, you can also ensure the quality of your supplies and equipment by staying abreast of the latest developments in the milk tea industry and market as well as related industries. This is nothing new and has always been the obligation of conscientious businessmen. For example, you can follow any news reports on tea growing and the tea industry to make sure no sudden developments compromise (or potentially compromise, at the very least) the quality of the tea you yourself are using. Keeping an eye on your sources and things that relate to them is good practice whenever you are in business, no matter the industry. Want to start a milk tea business? Talk to us today! Does Your New Milk Tea Business Need Bubble Tea Training Classes? Nowadays, a lot of enterprising Filipinos are thinking of taking the business opportunity afforded them by the (still) rising interest in milk tea among local consumers, making plans for opening bubble tea shops of their own and getting a piece of the action. Opening a bubble tea shop is not as simple as it may initially seem, though, and it would be wise for any entrepreneur to investigate the industry and field thoroughly before he starts spending money on setting up his new venture. There are a lot of errors a new bubble tea shop owner can make, destroying his own chances of building a profitable business. Take the matter of sourcing supplies, for example. Even this step to setting up a tea shop is littered with traps and pits that could cripple your business venture early on. You could pick a supplier thinking his prices and terms competitive at first, only to discover later that there were far better options than him later on. Another possibility is that you could spend a lot of money on purchasing top-of-the-line supplies from a distributor focused on the luxury products market, only to realize later on that the prices you have on your products—which are determined partly by the prices of their ingredients, of course—are actually not ideal for the segment of the consumer market you should be targeting. There are other areas where one can make errors in the process of setting up a milk tea shop business. For example, there could be the matter of staff training. A lot of people make the mistake of thinking bubble tea production in a commercial setting is not different from its production in a private or personal environment, and thus approach the matter of staff training with a lackadaisical attitude that leads to problems later on. Staff training is crucial for all service establishments, as indeed the coffee shops of today have demonstrated. Coffee shops spend a lot of money and time on training their employees, acknowledging that more goes into making a proper barista than a simple photocopy of company recipes for drinks. And judging from the loyalty of many cafés’ clientele, that investment pays off remarkably well. Of course, acknowledging the need for it is one thing: answering the need is another. That is why a lot of milk tea shop owners have difficulty creating their own training programs. Simply because you yourself know enough about the business to run it does not mean you know how to teach others to do the same or to fulfill their tasks. That is why bubble tea training classes of the type that we offer are important resources for businessmen going into the bubble tea shop business. They may not be necessary for all companies, but they are invaluable for most, specifically small businesses and individuals starting their first business. These are often unable to shoulder the costs of creating a distinct training unit in their businesses just for this purpose, and thus outsourced training classes from specialists like those here at Popular Household Names Inc. represent the best solution. Let us help your business thrive. Talk to us! Everyone is familiar with the way Starbucks trains its potential employees. Usually, the applicants need to enroll in a short course where they will be taught how to become effective baristas. Of course, since this training will involve the use of heavy machinery and the disclosure of recipe secrets, you can imagine that this short course will require a fee. The same is true for those who want to master the art of making boba tea. If you are currently living in the Philippines, you may be aware that this beverage is becoming a household name. It is the type of cold drink that can be enjoyed by everyone from the summer months up to the cold, Christmas season. While making boba tea may seem very easy to do, you have to understand that there are special techniques and better equipment that will ensure that the product you are making is the best one. Thus, a short course is offered to those who would like to create milk or boba teas for a living. The course is very short, usually requiring a day or two, and the tuition fee is quite affordable. 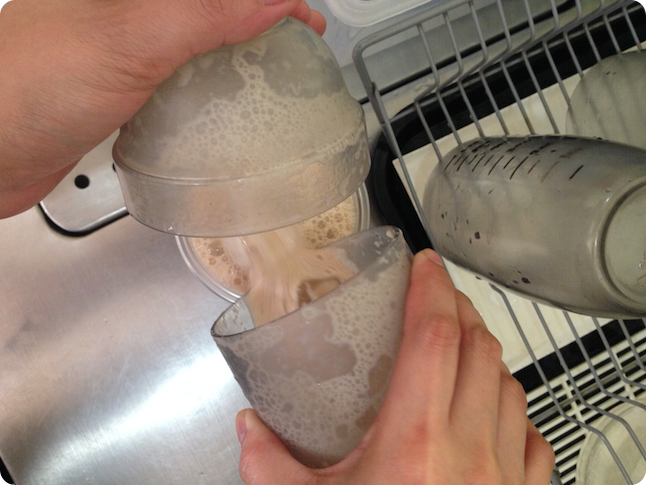 The course is all about creating the perfect blend of bubble tea by hand or by machine. It is very important for the servers of bubble tea to take these short courses because they will learn how to handle the machinery that they need to use regularly. The equipment will enable them to serve customers better. With these machines, the time it takes to prepare the beverage will be cut in half. There are two kinds of machines that the expert baristas will show to the students. 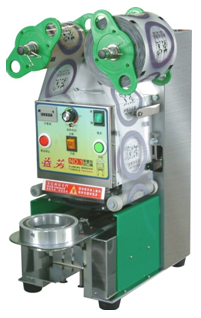 First, there is the automatic sealing machine, which is responsible for sealing the tops of the cups with clear, plastic film. You can manipulate the machine in such a way as to show the date and time of the preparation, as well as the company name. Another machine is called the fructose machine, which is responsible for measuring the amount of fructose that needs to be added into the mix. A lot of establishments do not have the equipment, opting instead to measure sugar mechanically. However, you will find that this machine is vital to use, particularly if the customer is diabetic. Of course, the most important thing that a potential barista will learn is to prepare boba tea without wasting precious ingredients. There are supplies that are imprinted with measure lines to guide the server on the exact amount of ingredients to put in the mixture, based on the size of the serving. Finally, potential baristas will be taught the rules and regulations of the job. This will include safety and cleanliness ethics that need to be followed strictly. Oh, and yes, we do offer these training sessions. One thing a lot of restaurant and franchise owners in the country are looking for these days is a good milk tea distributor to supply their needs for milk tea products. It’s already hard enough to find trust-worthy bubble tea suppliers in the country and couple that with the unfortunate news recently, then it’s understandable why businessmen are wary of where they buy their goods. At Popular Household Names, one of the biggest selling product ranges is the one for boba or bubble tea, not least because of the ever-growing interest among Filipinos for milk tea drinks. If you have been out in the Metro at all recently, you should have noticed a sharp uptick in the number of milk tea places popping up all around the place and you should have noticed the number of persons visiting such places regularly as well. Manila milk tea shops have become a solid option for many people looking to establish a nicely profitable store that can depend on a fairly regular clientele similar to that which coffee houses get. There are a lot of people planning to open milk tea or bubble tea shops and stalls all around the country, and while it is admittedly not one of the harder businesses to set up, one still cannot underestimate the challenges involved in the venture. It is for this reason that the responsible entrepreneur investigates all the resources available to him as a start-up bubble tea (Philippines) merchant. From supplier comparison to pricing surveys, he exhausts these resources before finalizing any plans, as he needs to know that he has explored all the options available to him in choosing the foundations of his business before constructing anything concrete. Now one of the resources that a businessman looking to open a milk tea shop has available to him nowadays is milk tea training classes. 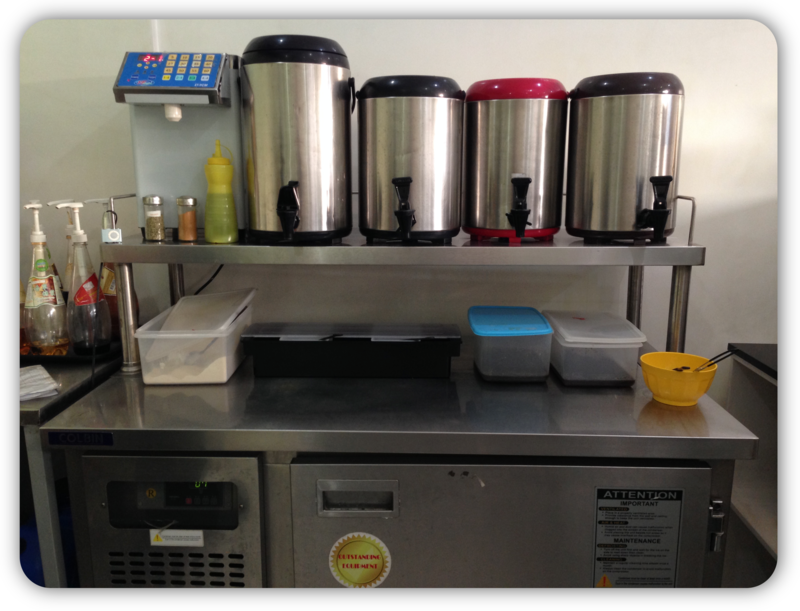 Here at Popular Household Names Inc., it’s one of the services that we offer to make things a lot easier for our clients, besides offering our milk tea supplies, bubble tea equipment and other supplies that may be required of milk tea business merchants to open a shop. These milk tea training sessions may be of great help to a milk tea startup, although some might ask why it is necessary to get them in the first place if one already knows a lot about milk tea and can educate one’s own employees on the necessary topics for them to operate the shop properly. But one must remember that not every person opening a milk tea shop starts out with such knowledge: even if one adores milk tea or tea in general, there are significant differences between personal or private tea culture and ceremony and the production of tea for commercial or franchise purposes. Speed becomes a consideration in the latter, for instance, as do many other things that might not really enter the picture as urgent factors in personal enjoyment of tea. Milk tea sessions are given to help people understand those factors, as well as to hone their skills at interacting with customers in a food establishment. Does it make a difference? In most cases, yes. One need only compare it to coffee shop culture. One of the things for which large coffee shop chains like Starbucks is known would be the training that is given to its employees once they join the staff. And when regular visitors of the company’s establishments are surveyed, they generally agree that the training shows and makes a difference, establishing not just convenient service but also a sense of warmth and friendliness that the customers appreciate. Since milk tea shops are being positioned by most of their proprietors as alternatives to coffee shops, this would be something that milk tea merchants should take note of. Training is critical when trying to create not just a store that functions efficiently at the production level but also a place that people can come to regularly and feel comfy in. 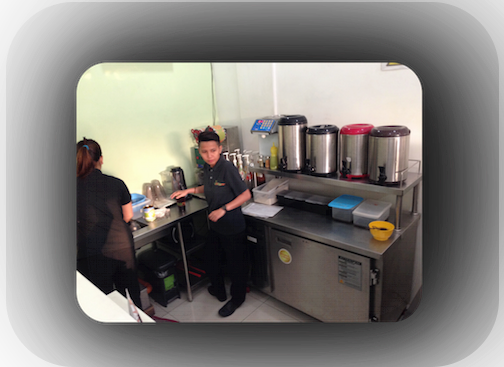 As such, milk tea business training may be considered a necessity for most milk tea establishments. Boba tea is very popular in the whole of Asia nowadays, particularly in the Philippines. Like so many fads and trends, Filipinos are quick to accept the introduction of this tea-based beverage, which is said to have been invented in Taiwan. Indeed, there is rarely a mall in the country that doesn’t showcase stalls that sell this drink. However, while this drink is bought from popular stalls, it is surprising to learn that one can easily make or prepare this beverage at home. As long as that person is equipped with the right ingredients, he or she can serve as many of this drink as possible. It is very easy to find ice, honey, and fruits in the supermarket, but where can one purchase the black pearls? 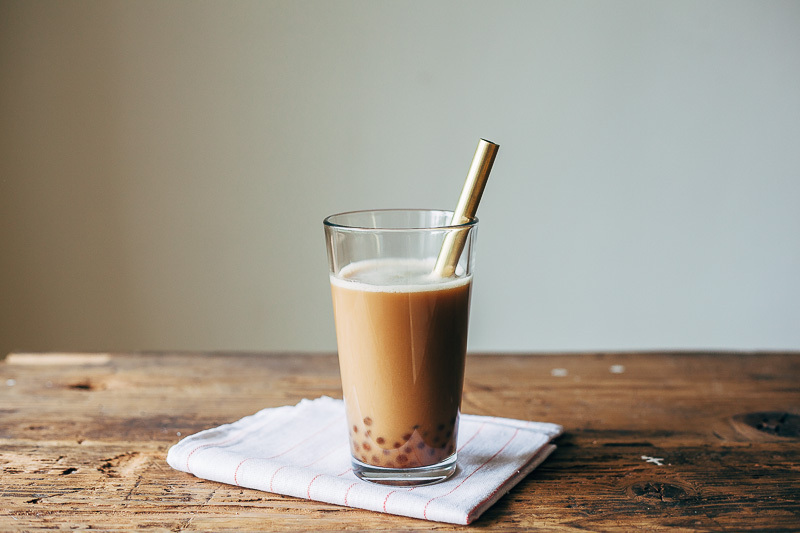 Make Boba Tea like this at home! Fortunately, here in the Philippines, supermarkets now sell black pearls by a pack. One can usually find these in the chillers, as the tapioca balls need to be frozen to be kept fresh. The kind of tapioca that a person should buy should be based on the actual time when he or she is planning to serve the tea. For example, if a person is craving boba tea, and if he is purchasing these tapioca balls so that he can prepare the beverage immediately after getting home, then he is encouraged to purchase the quick-boiling bobas. These only need to be boiled for ten to fifteen minutes before being added to the tea. On the other hand, if the tea will be served a day after the purchase, the recommended product are the dried pearls. To make boba tea, one should first cook the tapioca pearls. The method of cooking is similar to preparing rice. However, in this case, two cups of water should be added to the pan for every quarter cup of tapioca pearls. The water should be boiled at a high temperature before adding the tapioca pearls. At first, the pearls will sink to the bottom but once they are cooked, they will slowly rise toward the surface. Once the pearls are all floating, lower the temperature to medium, and continue to boiling process for fifteen minutes. After fifteen minutes, switch off the stove, and let the pan sit for another fifteen minutes. At this point, it is the best time to make the syrup. It is just a matter of dissolving sugar in a pot of water until the liquid turns brown and thick. Drain the water from the pan containing the bobas, and drop the pearls in the sugar syrup for fifteen minutes. During this time, one is encouraged to make his preferred tea. Once this is done, the bobas can be added to the tea, even while hot. On the other hand, if it is not yet time to prepare the tea, but the bobas have been cooked and placed in the sugar syrup, this mixture can be refrigerated. Once frozen, it can be defrosted by heating it in a pan or using a microwave. No matter the method, it is guaranteed that the softness and flavor of the tapioca pearls will remain intact. Boba tea is very easy to create, and it is such a fun activity to experiment with its flavors. For milk lovers, bubble tea can instantly be made by adding milk and shaking the tea. For fruit lovers, they can add any fruit they want into the mix. Want to start a milk tea business? Get in touch with us! If you have not yet heard of the milk tea, it would not be unreasonable to ask you under what rock you have been hiding yourself in the past year. Milk tea, specifically the type known as bubble tea or boba tea, is the latest beverage to grip consumers’ tastes in the Philippines and it has gripped hard, judging by the strong performance thus far of the tea shops specializing in it. Even smaller stores or stalls reportedly sell around 300 drinks in a single working day, which shows how profitable this milk tea business can be. Furthermore, major restaurant chains; including some of the most internationally recognizable fast food brands the world over – have put their stamp of approval on the product as well, adding milk tea products to their lines in different countries. It is clear there is demand for it, so it makes sense for enterprising people to try to come up with a supply. If you are interested in becoming a milk tea supplier Philippines by opening your own store or stall, you shall need a few things first. Since we here at PHNI, are in the business of supplying other businesses, specifically those that provide bubble tea to end-consumers, then we think we are in a good position to share our experiences and knowledge about this topic. The first thing you shall need would be the ingredients that go into the drinks themselves, of course. Since milk tea shops are expected to provide a diverse menu, having only one product offering would mean death for any shop in the specialty beverages industry, you can expect to have to seek out quite a lot of ingredients for your venture, and you shall need to devote significant time to seeking them out besides deciding which ones you must have and which ones you can do without. Your standard bubble tea ingredients list includes tapioca pearls (dehydrated for easy storage, of course), flavorings like syrups and powders, tea leaves and powders, milk, creamers, sugar, artificial sweeteners (for diabetics), ice, and, of course, water. Other ingredients may be rendered necessary by your recipes or special products. For example, a lot of tea shops create proprietary products and blends that depend on fresh fruit, additions of special spices such as nutmeg and cardamom, unusual tea leaves that come from exotic locations, blends of tea with coffee, and so on. Besides the ingredients, you shall also need some basic bubble tea equipment like the sealing machine. This is used to seal bubble tea cups that have been filled. On that note, you shall need supplies for your sales, of course, like the plastic cups, specially sized straws, and other related objects. Finally, you shall need some well-trained and reliable staff for your bubble tea store. The staff have to be taught how to operate the machines and how to make all the drinks properly, of course. If you do not know where to start with staff orientations, you can rely on companies like ours, here at Popular Household Names Inc., to take care of the practical training: you can establish your company rules later, once your employees have been taught all they need to know about the tea itself and how to be a proper tea shop barista.